In this episode, Chris Gaiser (professor of biology at Linfield College) and Mike Crosser (professor of physics at Linfield College) discuss the role of cyanobacteria in the process of photosynthesis in plants. Cyanobacteria are bacteria that are able to convert solar energy into chemical energy. Plants have subsumed some cyanobacteria into their cells, which now allows plants to do the same. Gaiser and Crosser get deep into the weeds, as it were, to learn more about plants and photosynthesis. Crosser, Michael S. and Gaiser, J. Christopher, "crisscrossing Science Episode 10: Cyanobacteria: The Unsung Heroes of Photosynthesis" (2016). 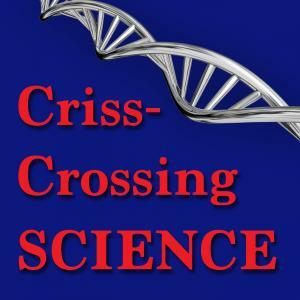 crisscrossing Science. Audio File. Submission 10.